Additional appeal actions for METAL GEAR ONLINE. This pack include ○ Signal，× Signal, Fist, Lend a Hand, Push Away, and Disappointment poses. Additional appeal actions for METAL GEAR ONLINE. This pack includes Hero, Entrance, and Finger Pointing poses. Additional appeal actions for METAL GEAR ONLINE. This pack includes Rolling Dance, Side Step Dance, and Demon Dance poses. Additional appeal actions for METAL GEAR ONLINE. This pack includes Attention, Bow, What's Up, Kung-fu, and Bodybuilder poses. All new, highly detailed item, Bionic arm (Gold), for METAL GEAR SOLID V: THE PHANTOM PAIN. 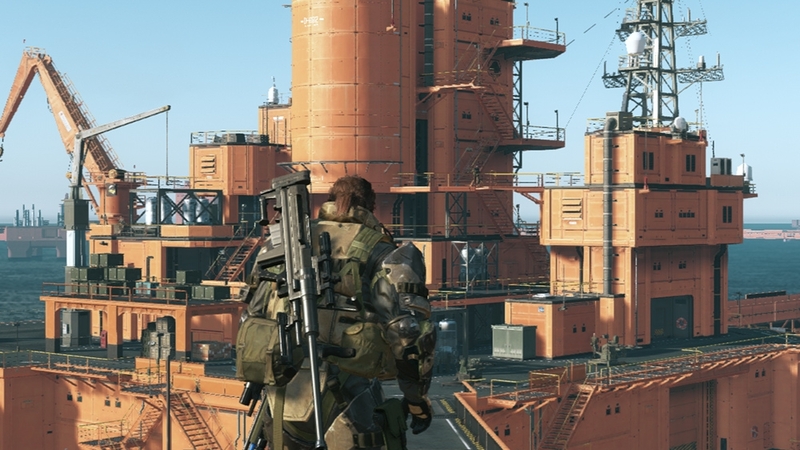 Special Mother Base staff for METAL GEAR SOLID V: THE PHANTOM PAIN. All new, highly detailed Gold Personal Ballistic Shield for METAL GEAR SOLID V: THE PHANTOM PAIN. All new, highly detailed White Personal Ballistic Shield for METAL GEAR SOLID V: THE PHANTOM PAIN. This item increases the amount of XP you can acquire in METAL GEAR ONLINE. 1 per account. All new, highly detailed Rocky Terrain Cardboard Box for METAL GEAR SOLID V: THE PHANTOM PAIN. All new, highly detailed Blue Urban Fatigues for METAL GEAR SOLID V: THE PHANTOM PAIN. All new, highly detailed weapon, Adam-ska Special, for METAL GEAR SOLID V: THE PHANTOM PAIN. All new, highly detailed weapon, WU S.PISTOL GOLD, for METAL GEAR ONLINE. 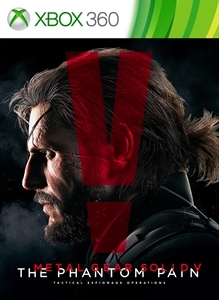 Special in-game VENOM SNAKE emblem for METAL GEAR SOLID V: THE PHANTOM PAIN. All new, highly detailed Silver Personal Ballistic Shield for METAL GEAR SOLID V: THE PHANTOM PAIN. All new, highly detailed weapon, Maschinen Taktische Pistole 5 Weiss, for METAL GEAR SOLID V: THE PHANTOM PAIN. All new, highly detailed All-Purpose Dryland Cardboard Box for METAL GEAR SOLID V: THE PHANTOM PAIN. All new, highly detailed weapon, Windurger S333 Combat Special, for METAL GEAR SOLID V: THE PHANTOM PAIN. All new, highly detailed weapon, the Rasp Short-Barreled Shotgun, for METAL GEAR SOLID V: THE PHANTOM PAIN. 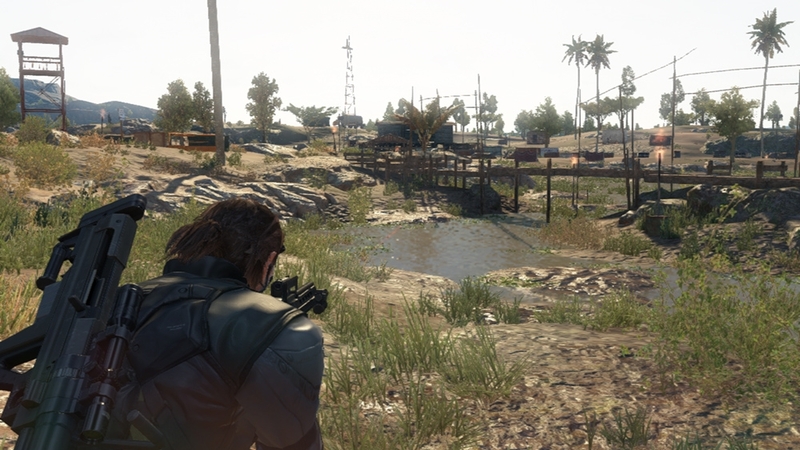 All new, highly detailed Wetland Cardboard Box for METAL GEAR SOLID V: THE PHANTOM PAIN. All new, highly detailed Olive Drab Personal Ballistic Shield for METAL GEAR SOLID V: THE PHANTOM PAIN. All new, highly detailed All-Purpose Dryland Fatigues for METAL GEAR SOLID V: THE PHANTOM PAIN. All new, highly detailed Gray Urban Fatigues for METAL GEAR SOLID V: THE PHANTOM PAIN.